Hotel Sawera is a conveniently located, budget hotel in Paharganj. New Delhi Railway station and New Delhi Metro station are located less than a kilometer away. Some of the must-visit tourist attractions near the hotel are Fatehpuri Masjid, Jama Masjid, Jantar Mantar and Ugrasen ki Baoli. The hotel offers cozy rooms decorated in dark hardwood. 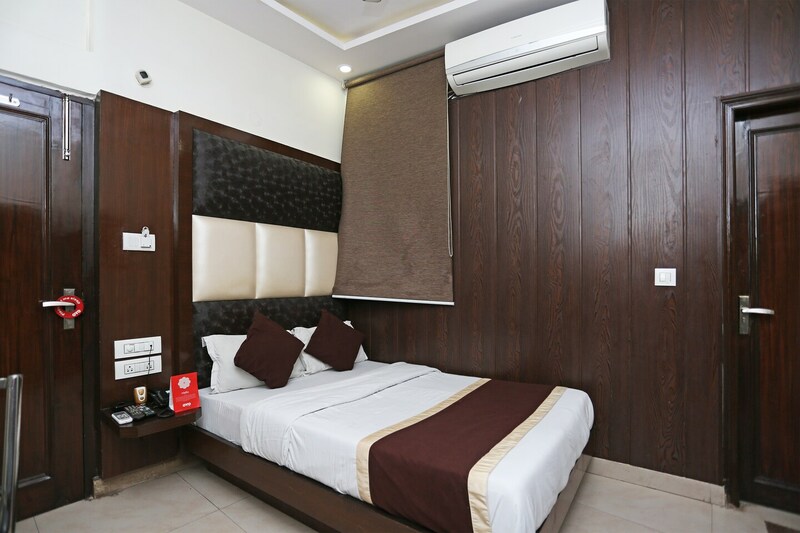 The rooms have comfortable queen-sized beds and offer modern amenities to the guests including free Wi-Fi, CCTV camera enabled protection, television, air conditioner, seating area, wardrobe, attached bathroom and laundry service to all guests. Guests can also go to Connaught Place, Sadar Bazar, Chawri Bazar and Chandni Chowk for amazing shopping experience.